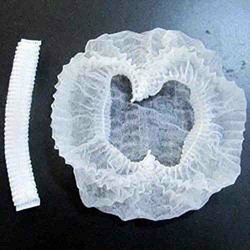 We are able to offer a superior quality range of Bouffant Caps. Our Bouffant caps are designed in compliance with the standards to suit the needs of medical and food industry professionals. These caps find their applications in medical and food industry. We are giving color options like white, blue and green. Moreover, we offer these caps to the clients at market-leading prices. Minimum Order Quantity: 5000 Pieces. Packing Details: Loose packing of 100 in poly and 5000 in box. Payment mode: Cheque or NEFT. 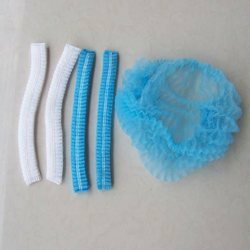 Owing to our vast manufacturing facilities, we are able to offer Disposable Bouffant Cap. The most common application of these caps can be seen in operation theaters for keeping them clean. Manufactured using superior grade material, these caps are available in various dimensions and types as per the requirements of our clients. Some of the specifications of these caps are listed below. 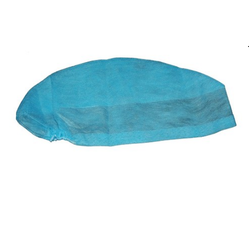 We are able to offer a superior quality range of Disposable Head Cap. Our Bouffant caps are designed in compliance with the standards to suit the needs of medical and food industry professionals. These caps find their applications in medical and food industry. We are giving color options like white, blue and green. Moreover, we offer these caps to the clients at market-leading prices. Minimum Order Quantity 5000 Pieces. Packing Details Loose packing of 100 in poly and 5000 in a box. Payment mode Cheque or NEFT. 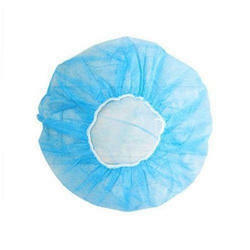 We are offering Disposable Nurse Cap o our client at a reasonable rate. With the help of our experienced professionals, we are able to offer a range of Disposable Surgeon Cap. These caps are manufactured by our professionals using latest technology and machinery. The offered caps are most commonly used by surgeons at time of surgeries to cover the head. We use high-quality fabric for the stitching of our caps that ensure their reliability. Available in White, Blue and Green colors. Backside with Elastic for a secure fit (With Elastic). Looking for Bouffant Cap ?